After a recent re-watching of the two films which brought Sam Raimi to fame (the first two Evil Dead films) I felt compelled to provide a beginner’s guide on the man. Raimi remains a director who has become a cult hero, largely thanks to his Ash trilogy, but furthermore, he was instrumental in turning the fortunes of the comic book film genre, with his first two Spider-Man films. Whilst he’ll always be largely seen as an unrestrained B picture specialist, he is without doubt a director of inspired flair when everything clicks. The Evil Dead is a milestone in horror. Shot for peanuts by essentially a group of mates, it showed an astonishing level of flair and ingenuity from Raimi’s part. Aided by Joseph LoDuca’s playful score, it’s film that has become irrevocably tied in with the term ‘Video Nasty.’ It’s possibly THE definitive video nasty. The dawn of VHS, and an explosion in low budget productions and releases saw the kind of output that dwarfed those of the 50’s and 60’s when B movie specialists like Roger Corman would play in underground theatres. It was also an era when home video cameras were more readily available. Film-makers were more regularly honing their craft on super 8, before cobbling together enough money to rent 16mm (35 if they were lucky). The video nasty tag however, doesn’t respect enough the creativity and artistry displayed by Raimi et al. To create the elaborate shots took a lot of outside the box thinking. Evil Dead remains an essential piece of horror cinema. It’s perfectly imperfect, but more often than not, everything that Raimi attempted, to make this film stand out from the rest, was successful. It’s an insane film (only dwarfed in insanity by the sequel) but as well as showing Raimi’s gift for illogical logic and determination, it also displayed the magnetic charisma of star Bruce Campbell, who from his humble beginnings as Raimi’s film-making buddy (or essentially, the guy to stand in front of the camera), he’s forged a pretty solid career as a B movie legend. He’ll of course be most fondly thought of as Ash, but Campbell has always had an easy grin charisma that has served him well. Raimi’s follow up, which would see him get a proper studio picture and fairly big budget, was Crimewave. Crimewave you ask? Yeah, it’s easily forgotten. In fact Raimi and Campbell would prefer you forget it. A pretty disastrous amalgamation of genre’s and a troubled production (much of which is owed to Raimi’s inexperience and brashness) meant that despite being directed by Raimi and written by the Coen brothers (Joel was an editor on The Evil Dead) it was a disaster. Running over-budget and over-schedule it was then wrestled away from the inexperienced Raimi. It has its moments but it’s certainly an oddity. After a flop of potentially career ending proportions, Raimi’s logical next stead was to revisit the book of the dead. Evil Dead 2 was born. In comparison to the original, it’s a big budget spectacular, but it was still shot for a lot less than A Nightmare On Elm Street sequels of the time were shooting for as an example. It still required an on game Raimi to be thinking of ways to overcome budgetary constraint. 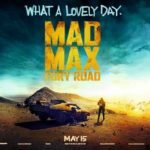 The film launches straight into proceedings, quickly recapping everything that happened in the first film and diving right into the continuing action. 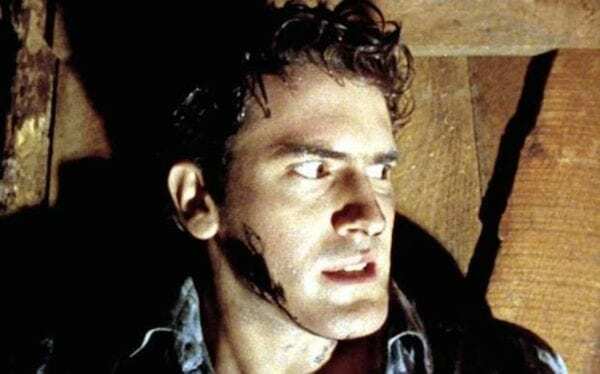 With head scratchingly brilliant and dizzying camera work, to the physical dynamism of Bruce Campbell, Evil Dead 2 is an astonishing exercise in visceral horror. It just never stops. There’s always an eye catching camera move, or in front of camera Campbell chucking himself around, or animatronic work that constantly engages. It’s a non stop, 84 minute assault on the senses. For many, it’s THE Raimi film. It’s the discovery. That kind of film you see, and you have to run and tell your mates about it after. 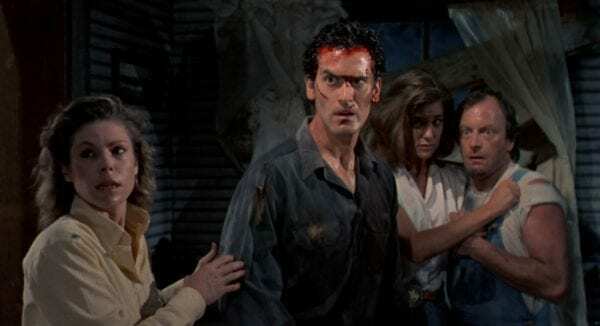 To me, Evil Dead 2, may not have the dramatic complexity or overt scares of some other iconic horrors, but the stylistic energy and jaw dropping visuals are almost unmatched. As a viewer, its effect on me was profound. Raimi’s follow up, was also the first of his films I saw. 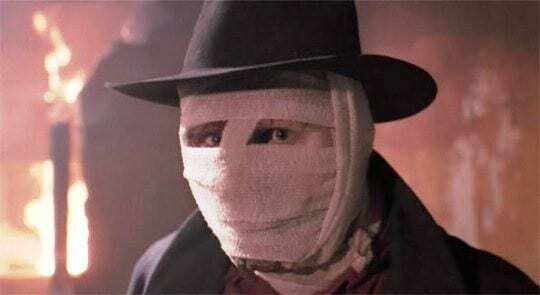 In my younger days I was sort of enticed by a video called Darkman. It looked like a comic book film. I’d enjoyed Batman already, and even enjoyed the TV movie versions of The Incredible Hulk, Spider-Man and Captain America (and to a lesser extent, the Cannon produced, Albert Pyan version of Cap). Whilst comic book films were a tough sell for studios back then, as a kid, I was game. So Darkman drew me in. I watched. I kind of liked it, even though it had this rough edged lack of polish that myself and my brother initially found laughable. It is low budget. In time, it’s grown on me a lot. It’s a cool film. It’s a really good comic book tale that owes a lot to Marvel and DC comic lore, though its genesis lies in the mind of Raimi. It could easily have come from the mind of the late great Stan Lee though. Loaded with style, gusto, and aided with A-list gravitas from Liam Neeson and Frances McDormand, Darkman is fantastic. Sly humour, physical comedy, mixed with horror, action and melancholy thanks to the prowess of Neeson. As much as Campbell remains an iconic cohort in Raimi’s rise, as the directors preferred choice for Darkman, the film would have just lacked that touch of pathos that an actor like Neeson provides. Campbell still makes a memorable cameo though.